Slow cookers don’t always get the credit they deserve, and oftentimes I forget I have mine tucked way beneath the counter. But I love chicken Marsala and wanted to create a hassle-free, weeknight-friendly version that is basically foolproof and mess-free too. So break out the slow cooker, and whip up this elegant dish without the headache. Chicken Marsala can be an easy weeknight dinner. 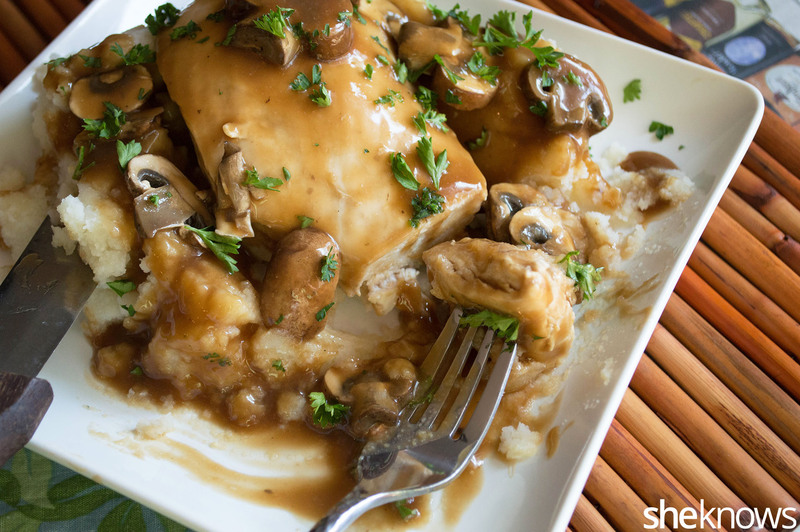 Chicken breast is added to the slow cooker with fresh mushrooms and garlic in a Marsala wine-based sauce. The chicken is juicy and tender and goes perfectly with mashed potatoes, green veggies or even a salad. You can prep all the ingredients the night before and set the slow cooker in the morning before work to have a nice, hot supper waiting for you when you get home. 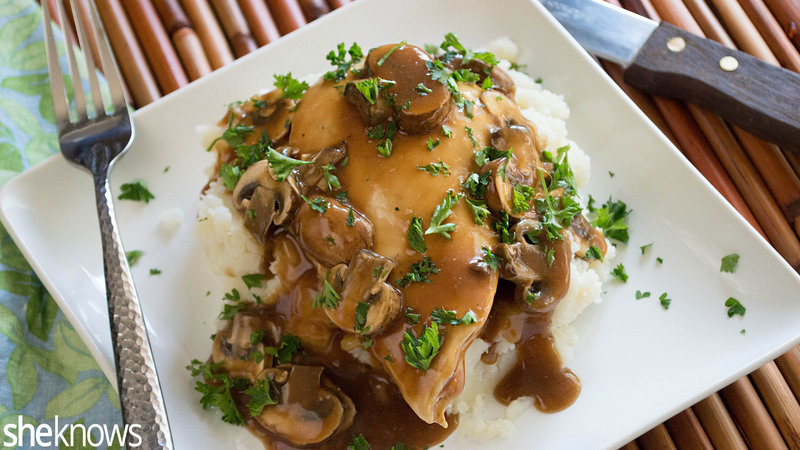 Chicken breast is slow-cooked in a flavorful Marsala wine sauce along with fresh mushrooms, then served alongside your family’s favorite side dishes, like mashed potatoes or steamed veggies. Place the chicken breasts, mushrooms and butter in the bowl of the slow cooker. In a bowl, combine all the remaining ingredients, and mix well. Pour the mixture on top of the chicken and mushrooms. Place the lid on the slow cooker, and set it to cook on low for 6 hours. When the chicken Marsala is done, divide it among dinner plates, and garnish with chopped parsley. Best served warm alongside fresh steamed green veggies, mashed potatoes or with a side salad.